can you eat on $30? I just spent the past hour planning my food menu for next week and I haven’t even thought about our food menu for this week. But there is a good reason for that. Oh wait, here’s another picture from the shoot. The big stands are pretty impressive, even with lots of leaves missing. So back to the menu planning… Several months ago, I saw that Tami of Running with Tweezers had endeavored to feed herself for a week on $30. She’s doing it again next week and I’m joining her. Why? Because a lot of Americans live on $30 a week for their food… actually, quite a few live on less than that each week. Sobering to say the least. Besides, I think Tami is the bomb. I met her at BlogHer Food 09 in San Francisco and the woman is the real deal. She’s terrific. There is a difference between sympathy and empathy. I can sympathize with people who can barely afford to feed their families, but I can’t really empathize. I’m fortunate enough that I’ve never ever ever had to go hungry for financial reasons. In planning out my menu for next week, I can see that things I take for granted – buying soy sauce in bulk or buying ten pound bags of organic brown short grain rice – don’t work for people who don’t have the money up front. People who have money are in a position to save money. People who don’t have money… they get screwed. Estimating my costs and eliminating advantages like my half gallon of sesame oil means I have to buy a small bottle, which per unit volume of sesame oil is outrageously expensive. The planning stage has already been eye-opening. I rather expected that paying for spices and other ingredients would cost more, but… I hadn’t counted on it being such a substantial fraction of the $60 budget for the week (we get $60 because I’m feeding Jeremy and myself – so that’s $30 per person). Sure, I could just buy several packets of ramen and mac and cheese and call it a success, but living on that junk long term isn’t a solution. What I’m attempting to do is prepare relatively balanced and healthy foods that taste good for under $60 for the week. My gimmes are basic things like salt, pepper, oil, and butter. Already, I’ve had to cut out some of our regular produce, but we’ll make it work. Follow along next week starting Sunday, October 11th. I’ll be blogging about it as will other bloggers joining Tami on this challenge. If you’d like to participate, give Tami a holler over at Running with Tweezers or reply to her on Twitter (@runwithtweezers). We’ll be tweeting with the hashtag #eaton30. now I WOULD like to challenge any food-bloger to not only plan for 30 a week, but actually cook a week with 30. Or to make things easier, cook for 4 for 100. It is really not that difficult to do. In fact you would learn many of the cheap cuts can be very nutritious. I grew up in a family with very little. Sometimes we only have one good meal a day. Even though I am out of that situation for the past 35 years or more, I still live poor. I still refuse to buy prawns for my own consumptions. I only do that when I have guests. There’s a large group of people at my university who do 7 days for 7 dollars. Needless to say they eat mostly ramen and peanutbutter sandwiches. Some people have to drop out by the end of the week because they’re too weak. I like eating a little too much to commit to a dollar a day food budget but I know it’s been an interesting experience for my friends. Neat to see what healthy budget food you come up with! Kudos on trying this – you bring up a point I hadn’t thought about though. I buy all sorts of things in bulk, and have herbs and spices galore, but only because I had >$30 at the time to spend on groceries. It’s a rather sobering though, to say the least. 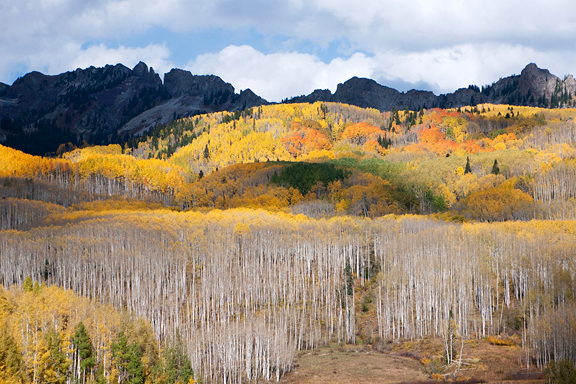 And, as always, I find the need to move to CO every time you put up shots like that – gorgeous! Many dollar stores carry some spices for $1 a jar- the selection is usually rather limited, but with the holidays approaching they often get in cloves and cinnamon to supplement the usual basil, parsley, pepper, oregano, cayenne etc. If you don’t have a dollar store (Dollar General is the best in my area) try Family dollar and possibly the local hardware store. (http://www.acohardware.com/ has a small food section and sometimes runs specials on salad dressings and spices for around $1) I have also found cheap seasonings at the drugstore before- it was either CVS or Walgreens. Odd eh? Good luck with this challenge. A lot depends on what is available close by- many people forget that finding cheap food requires searching out good deals and forget to factor in transportation costs. Cheap anything is no deal if you have no way to get there or it costs more in transportation/time than you save. Your challenge may not factor in bus/cab fare or gasoline costs, but they are quite important when every penny counts. Fall is fast approaching, and you can’t plan ahead and plant a garden, but you could still forage for part of a meal. Purslane is a common weed that loves to live in vacant lots and the cracks in concrete- if you are adventuresome it is a very tasty green. See http://www.thekitchn.com/thekitchn/summer/in-season-purslane-009682 for info. I am very thankful for what I have in my life, but food is one of those things I take for granted. I watch the budget, buy in bulk, and make choices based on what is on sale. But, really, we eat what we want to eat and have plenty of it. I can’t imagine being unable to give my kids enough to eat. On $30 per week per person, you’d have to be careful to make it last all they way through the week. I can’t wait to see what you come up with! Grow some of your own, that really helps. We manage to eat very cheaply because we grow some of our veggies and many of our own herbs. It really isn’t that difficult to eat for $30 a week, all you have to do is avoid processed foods and eat what’s in season because it’s always cheapest. Cindy – uh, we ARE cooking on $30 a week. Was that not clear in the post? Karen – yes, what I’m trying to do is eat more or less what we’d want while trying to keep within the constraints of the budget. We’ll see how that works out! Chiot’s Run – that might work for some folks, but we’re already in the 20s overnight where I live and that’s going to last through May. What about people who live in cities with no access to space? Growing your own food also requires some financial investment. I’m guessing most people living on food stamps don’t have much land available to them either. Just trying to be realistic here. Not everyone lives in suburbia. I think the point is to try and understand the obstacles that many people face in trying to feed themselves and their families – not to dismiss a very serious problem out of hand. I’m super excited to see your take on this challenge, Jen. We, too, will be doing the EatAsACoupleOn$60, which after doing it for $30 the last time…sounds positively luxurious. Truthfully, I really enjoyed doing this challenge the last time – it forced me to be creative, stretch ingredient parts I might have normally thrown away, and depend on what was fresh and cheap at the market. In response to the actual $ amount that is the national average, these days it actually figures in somewhere between $21 – $24 per person per week depending on what state you live in. Believe me, those extra $6 or so dollars we’re getting in this challenge make all the difference in the world. We are lucky because we are in close proximity to an amazing farmers market, where produce is super cheap depending on whats in season. Some folks…it won’t be as easy. The focus of this challenge is to COOK and try to live in a HEALTHY manner while still being extremely budget conscious. Those two things often don’t go hand in hand, particularly if you’re not armed with the skills to cook and do more than mash buttons on a microwave. holy accidental submit click, batman! I have no idea if my last comment went through (it doesn’t look like it) or if I hit stop in time, so lemme try this again. I cook on less than $30 a week–I’m a recent college grad, and between loans and my three part-time-only jobs, that’s about all I have–and it doesn’t seem weird to me because it’s what I’m used to. I don’t eat ramen. I eat a balanced diet that’s based on grains and beans, with meat that I buy on special if I use it at all, and a lot of on-the-fly improvisation. the particular sesame oil example you brought up was really interesting to me because that’s just soooo not how I shop; it’s not a matter of having to buy the smaller bottle (more expensive per unit) of sesame oil on a budget, it’s a matter of finding a flavoring ingredient that’s a good value within my budget. I just don’t buy sesame oil, period. I do buy raw peanuts, and roast them, grind them, stir-fry them, sprinkle them over greens, mix them in dumplings….until they’re gone. right now I know that the corner market by my apartment has turnips (with greens) on special and the big grocery by my job has a coupon for sunday bacon, so I’m making a lot of things that use those ingredients because they’re what I have–rather than shopping to a wishlist that forces me into false economies, like the little bottle of sesame oil. I’m very curious to see what you will be cooking and eating for $30 a week. Hope I can learn some (more) things from you. Your recipes are wonderful anyhow and I’m sure you will be creative with the $30. We definitely take a lot for granted. I know I do….I’m always on the hunt for sweets and they really are a luxury to many people. Even a decent meal can be a luxury to some…. huh. You know, I never knew that $30 was that little money! When I was in college I would definitely try to swing $20 a week, but that was with a LOT of ramen and PBJ. Now I’m a little better off, but I feel like my sister and I spend only a little more than that, maybe $60-$80 on groceries per week, depending on whether or not we go to the farmer’s market. And we eat pretty well, for young people. It does go a lot farther with two people, but we typically only cook big meals on the weekend and just have simple things during the week. There’s a lot of “rice with veggies and a fried egg on top” nights. I’m all about the egg as cheap easy protein. And we usually don’t cook red meat or chicken breasts, and if we drink it’s firmly in the six dollar wine category. Eating for $30 a week is MUCH harder when you live alone, and pretty much means you have to stick to rice and sandwiches. And the thing that really throws your budget is incidentals – shampoo, toothpaste, dish soap, all the nonedible things that you don’t buy every week, so when you run out it’s hard to factor them into your budget. Anyway, good luck with the challenge; you and Tami are awesome for attempting it! Can’t wait to see what you come up with! Good luck! I’m afraid I wont be joining you since I’ll be in the UK spending an inordinate amount on very variable food, I know there will be some amazing stuff and some terrible stuff! I still distinctly remember being at university and feeling awful that we spent 17 pounds on groceries for the week, and it was more than we’d meant to spend. I’m so lucky that that was really a choice. I was just choosing not to go into debt while I was at university, and I’m so glad I was careful then as I dont have student loans to pay off now. We had a lot of cheap bread, beans on toast and that sort of thing! I never thought about in in those terms. My wife and I just did our weekly shopping yesterday and spent around $80, using a week-long menu. Included were some decadent things like soft drinks, a tube of pre-mixed cookies — stuff we could easily do without — (even a small bottle of sesame oil to make your dumplings). So I’m thinking with a little effort and intelligence, we could do it. Now, we live in San Antonio. My son and his partner just moved here from Bozeman MT, and are expressing shock and delight at how much further their grocery dollar goes here. Location plays such a huge role. Thank for opening up my eyes and making me think and empathize a little. I really am enjoying your site. I definitely think $30 a week per person is very manageable, assuming you have access to a decent grocer/supermarket. I remember when I was going to college, sometimes I’d have $3.00 and change to buy a week’s worth of food (and ramen wasn’t a staple in the supermarkets in upstate New York at the time). A good week was $10 for groceries, so I know what you mean about not having the money up front for economy sized items. And Friday evenings I could get a meal by hitting the free “buffet” at ChiChi’s. And when I got odd jobs as a server for banquets, guess who squirreled away some of the extra untouched food! I still am grateful that I no longer have to agonize over whether to buy pasta or rice at the supermarket. Thank goodness those days are long behind me. Interesting to see what you come up with while still maintaining the healthy aspect. Most of the dry staples I buy is in bulk since it’s cheaper overall, but a lump sum up front, not to mention the high amount of vegetables/fruit. I kick myself whenever I let anything go bad because I’m keenly aware that I’m lucky enough to be able to have them. Being a typical poor college student I really can’t afford to spend more than $20 a week on groceries. I get by ok I guess. I always try to eat healthy and avoid ramen noodles like the plague, but majority of my meals do consist of beans and rice. The worst part is not being able to buy a large variety of fresh vegetables in the winter. I have to stick to the basic mushrooms, beans and green peppers because everything else is so expensive. So I keep a stash of frozen veggies in my freezer at all times. Lightly steamed with a little butter and seasoning, they can really pep up a meal! Good luck on the challenge! I can’t wait to read (and try out!) the recipes you come up with! This is the amount I spend on food for a week, as a poor college kid with a picky taste. I hate frozen fruits/veggie. I don’t drink soft drink, junk food, unhealthy snack. I don’t eat instant noodle or mac cheese. I do eat a lot of rice, fresh vegetables and fruits but nothing fancy or expensive, occasionally I do buy shrimp and fish, and I keep the meat (pork, drumstick) and can foods at minimum. Always keep some pack of good noodles in the house. For deserts, there’s always sweet mung bean soup, banana-lychee-coconut desert (under 5 mins) or fried banana (banana is dirt cheap). I’m a lactose intolerant so I can cut on the milk and butter. Worst ? I can make congee with left over meat, ginger, green onion and soy sauce. Holy, who said congee is for poor person ? I’m already pretty happy that I have $30 for a week. Sometimes, I couldn’t afford for more than $20. My husband and I budget about $50 a week on groceries. Granted, we eat meat only about 2 nights/week. BUT – we also don’t eat ramen or processed crap. Our budget includes a CSA share. Like RMD, we mainly shop based on what is in season, what is on sale. Also, you don’t have to live in the suburbs to grow your own food – we grow most of our herbs on a small deck in pots and pull them in at night when it gets too cold. I think $30/person/week is a reasonable budget. I’ll be excited to see what you come up with. My monthly food bill is between about $500, and that is on the high side. I have myself, hubby, and two kids. One of my children is allergic to lots of foods and requires special foods making it a little more pricey on his part. Basically, it rounds down to about $30-40 per person per week, and also includes diapers and toiletries. Most families the size of mine spend anywhere from $800 a month or more. I make a lot of things from scratch, but I cook a lot of really great things and shop at Fresh Market and Whole Foods. I’m not spending a lot, but I am able to take advantage of some bulk offers and great bulk deals from time to time. I also indulge on fresh produce, artisinal cheese, and a couple gourmet items each time I shop. I make my own pizza crusts for close to nothing and top them with leftovers, veggies, anything that needs to be used up. Eggs, beans, rice, frozen vegetables, and pasta are also great economical ideas that you can really turn into something gourmet with just a couple specialty ingredients. I’m looking forward to seeing what you come up with. I think it is a great goal to set for yourself and one that everyone should know how to accomplish. I think the challenge, here, besides the obvious (30 bucks ain’t much), is to cook something delicious and healthy…and DIFFERENT every night of the week. When I was single, I’d cook a huge pot of red beans and rice and eat that bad boy every night until it was gone. Because I am a lazy slob like that. That’s not a challenge–eating cheap when you don’t care if you eat the same dreck every night is easy! But we’re older, we like food, we like to make good food for ourselves and for our partners…THERE is where things get interesting. You aren’t going to make baked potatoes 5 ways this next week. You just aren’t….because you are awesome like that. I will follow with interest. And I will be somewhat in sympathy, because we are embarking on the 2 pounds of dried beans, 2 people, 1 week project at my house…Holy gastric distress, Batman! As a person who cooked for two on a college student’s (or recent graduate’s) budget, I found a lot of short cuts to streeeeeetch my meals. I would never think of roasting a whole leg or breast of chicken, for example (although I’m learning to do it nowadays). I would always cut my meat up and stir-fry it with some veggies, plenty of rice, beans and a can of tomatoes. Usually I could cook one decent meal that would feed us both for a couple of days. Unfortunately, the diet tended to be heavy on starches and beans. Getting fresh veggies at a decent price was killer…there were some days I would sneak into the school cafeteria and steal from the salad bar so I could cook with vegetables later that night. It was not an easy way to live!! Quite a challenge- I commend you and Tami. My mother-in-law cooks for a large family. She grew up in France during WW II and she learned at an early age how to scrimp but how to make tasty (French) food on a shoestring budget. When she finds a good deal on meats, she buys it and freezes it for later family meals. She buys what ever vegetable is fresh at her local farmers’ market. Portions are also a lot smaller in France. You’ve noted that where you live it is hard to get fresh veggies at a reasonable price in the winter. I guess that potatoes are cheap and can be prepared in a variety of yummy ways as can rice and pasta. Good luck with your challenge. I’ll be following you. BTW, as usual, I really love your photos. I can understand the the constraints of doing this where you live and appreciate your attempting this even more. We do our on $50/week but we are extremely lucky to be able to add protein for free by simply going to the dock for crabs, shrimp and small fish. Pork is king here so it’s cheap. We have eaten more of it this year that I care to realize!! Red meat maybe once a week. Veggies come pretty much strictly from the farmers’ market and I know how lucky I am about that. This is a great challenge Jen! Like many, I can’t wait to see what amazing things you will churn out! I agree about not having any land to plant our own greens. Come on, I live in an apartment man! That’s about what I try to spent on food for myself each week now. It’s a little easier for me because I can eat at school and get pastries to take home, but as far as healthy, real meals go I have a pretty tiny budget. I tend to just hit the green market every weekend, stock up cheaply on fruits and veggies and buy anything else I need at the relatively cheap grocery downstairs from me. Being a vegetarian (at home anyway) makes it a lot easier, too. I too am more in the sympathize category… I was wondering whether or not the tools (pots, pans, garlic press…a car) has an impact as well? My DH lusts after bread… it would be down right torturous to have to knead it by hand! XD I’m guessing time also plays a role here too. Buying some of the items you mentioned in a Bulk Foods Department will help you save. First, you need to find a good health food store in your area — doesn’t have to be a huge store like Whole Foods, even a very small co-op will have a core set. You can easily buy quality spices, ingredients and bulk liquids in small amounts and pay far less per oz/lb versus buying the retail package/bottle. It helps to bring your own containers — the store will weigh them empty when you enter, give you a tare, then subtract the tare from the filled weight. To save on Produce — go to a Farmers Market, or well stocked produce stand. Ignore their prices, and simply say “I’ll take this full basket of produce I just put together for $30” — if you make a reasonable offer they will generally take it. It’s easier to ring up for them — plus they don’t have to put it all back if you choose to walk away. Thanks for the inspiration! Like many other commenters I am a university student and I haven’t made myself a budget lately, but it could be very essential very soon. I’m going to give the $30 week a try (starting today!) and see what I learn. My version is a bit different though because I am going to rely on what I have in my pantry and fridge, and also because Thanksgiving is this weekend in Canada, which will probably stretch the budget a little, as I’ve committed to baking a portobello mushroom pie for the family feast. I struggle with my food budget. It’s particularly challenging because I prefer to buy organic foods (for a number of reasons) and that’s always more expensive, especially for items that were costly to begin with (dairy, oils, don’t even talk to me about meat–we eat 95% vegetarian though). One sobering thought I had as you discussed your logistics has to do with the non-financial costs of eating on a low budget. It takes a lot of planning to clip coupons, work around sales, figure out which stores have the best prices for what, etc. And although it seems like everyone is pressed for time and energy in this modern life, those resources are perhaps particularly rare for the poorest among us. Also, some of the more inexpensive dishes (say, beans) can be very time-consuming. Have you read Barbara Ehrenreich’s Nickel and Dimed? It’s a real eye-opener about, as you said, how the very fact of being poor to begin with imposes all sorts of extra costs, financial and otherwise. We stayed on a diet of eggs, chicken, rice and beans, powdered milk, and lettuce and tomatoes and popcycles for years while I was a stay at home mom. I think I kept it under 45 a week for a family of 6 using that formula. Once a month we’d have bacon or ground beef too. If you have a crock pot for the legumes, it doesn’t have to be time consuming to cook them. I find, dollar for dollar, that food here (in Australia) is more expensive than it is in the states. I don’t know the reasons why, but I remember when I lived in Colorado, that I discovered the difference was quite pronounced. In saying that, we had no money earlier in the year, and I could feed two of us for $70/week. (in fact, some weeks I had to do it on $50.) And let me tell you, I’ve never had a bigger challenge. There ended up being a lot of repetitive cooking (lots of dhal, savory rice, potatoes). But I have to admit, that I try and keep our food bill under $100/week (I’m NOT good at this now I’m managing to earn more), but I make more effort in trying to stick to between $10-15 per dinner, per day. rmd – right, well I didn’t buy the sesame oil, I just cited that as an example. But to tell a Chinese person to not use sesame oil is like telling you not to use salt. It’s a learning process for sure. I’ll discuss those in the coming week. BLH – thanks! Thinking about it and actually doing it have been two different lessons for me. You are absolutely right that where you live makes a big impact on how much you spend on food. Chaitali – excellent. I admire your resourcefulness! Anna – and if you don’t have an apartment with a deck? Again, we’re trying to empathize with people who live on food stamps. I agree that growing some herbs is a great way to save some money. I’m not poopooing that, but the assumptions we make about how others live is somewhat unrealistic. Kim – yes, bulk is terrific! Thanks for your input. Amy – bingo! Appreciate you sharing your experiences. Ruth Ann – ah yes, again – beans, rice and potatoes are starches… not vegetables :) For someone who grew up eating a lot of fruits and vegetables, I would be pretty depressed without my fruits and veggies. win – yes, time is a huge factor and I’ll address that too during the challenge week. Scott – well, I required more than a smear of butter for the week, so I tossed a pound of butter into my expenses, but the oil, I think it’s a gimme because you don’t need a lot of it and so one would assume it is a staple in the pantry. Calculate the fraction, if you want – it doesn’t add up to more than $.50 for me in the coming week. David – I can think of a lot of rural places that don’t have a good health food store, but your suggestions would be great for the folks who have access to such things. Thanks. L – yes yes yes! This is something that a lot of people overlook, but is critical to the issue. It became very clear to me while planning and shopping. You make an EXCELLENT point. LizzieBee – I visited Oz in 2007 and you are so right! Even with the amazing foods in Sydney, it is EXPENSIVE. Sorry, if I end up reiterating points that others made, I didn’t read all of the comments. As someone who spends no more than sixty dollars a week for my boyfriend myself and our 16 month old son, I can guarantee it can be done. That being said, in order for me to do it, I freeze things often, save vegetable scraps for stock, and have to be willing to cook every day. Some of the things that I regularly stock up on are dried beans, potatoes, pasta, canned tomatoes, and fresh produce. I shop at BJ’s and buy as much as I can in bulk or en masse on sale. Additionally, I have always made all of my son’s baby food in an effort to save money and be aware of exactly what he was eating. I wouldn’t recommend this lifestyle to everyone, but ever since I left my old job and went back to school full time, it had to be done. I admire what you are doing though, and am happy to hear that awareness is being raised. Cheers! This sounds like a great challenge. I’m always amazed (embarassed) at my grocery bill sometimes. Admittedly, I like the high life (butter, sugar..) and guess I’m pretty fortunate in that respect, that I have relative freedom to make such choices with the contents of my grocery basket. This is going to be so interesting! I’m a senior in college, although my parents cover my living expenses, but I still try to keep it reasonable. When I lived alone, I probably spent about $40-50 per week on groceries to keep a balanced diet. I don’t really have the option of cutting out meat because of iron problems, which has a major impact on my bill. Now I live with two guys, and we’re probably at about $60-100 per week, which easily falls within the $30 per week range. We just try to buy meat that’s on sale and freeze it for later and make sure we’re using our veggies and not throwing anything out. A big thing is that it’s just so much less expensive per-person to cook for several people than for one. Jen, now that people are quieter here, and saying things on today’s post (Monday’s? ), I thought I’d add something. There were weeks earlier in the year where we had $30/week for food. We starved those weeks though, and couldn’t eat well. I remember toast for breakfast and a few days when we were down to nothing of bullion broth soup with ramen noodles, and sweet chili sauce for flavour. I don’t ever want to be like that again. We lived on $50/week for about a month either side of that, and then went up to $70/week. I think I would do both better, and worse, if I had one handy appliance: a fridge. You see, we don’t. Have a fridge, that is. (Long story. Short version is that the rented fridge had to go back.) So we can’t buy in bulk, and I can’t cook bigger meals to last more than one day. I am frantically saving money at the moment to go up to our regional centre to the Scratch ‘n’ Dent to pick up a small bar fridge that will take us through summer. Our flat is so tiny I’m not sure a bigger one would fit! But we’re fortunate that we live in a cold climate, and that our bathroom gets so cold in the winter! But we’re halfway through Spring now, and things aren’t lasting as long. I’m hoping they last another 10 days!! LizzieBee – The unavailability for cold storage would have made it VERY difficult indeed. Your resourcefulness has served you well, but I do hope that you can get a great deal on a fridge soon. For some people, these struggles are a myth, for some, just a thought, for others – their reality. Good luck to you.